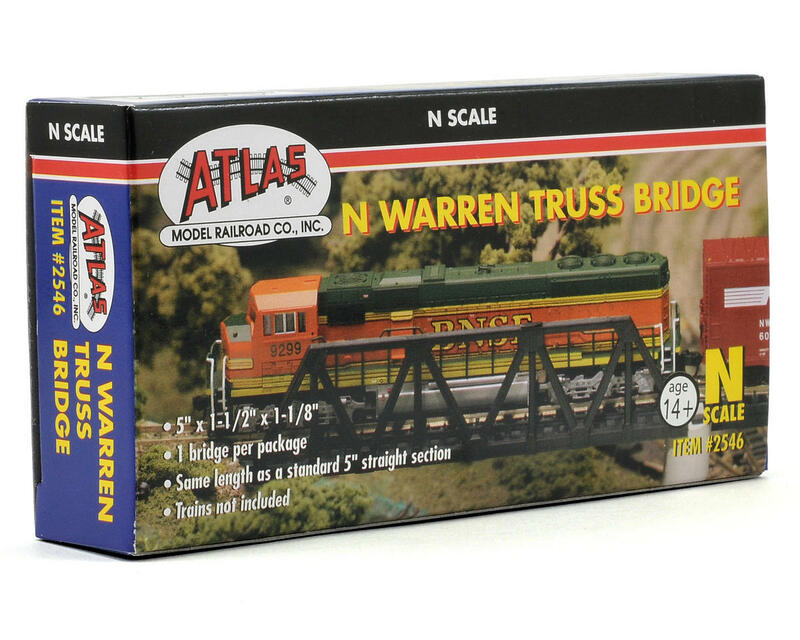 This is a Atlas Model Railroad N-Gauge, Code 80, Warren Truss Bridge. 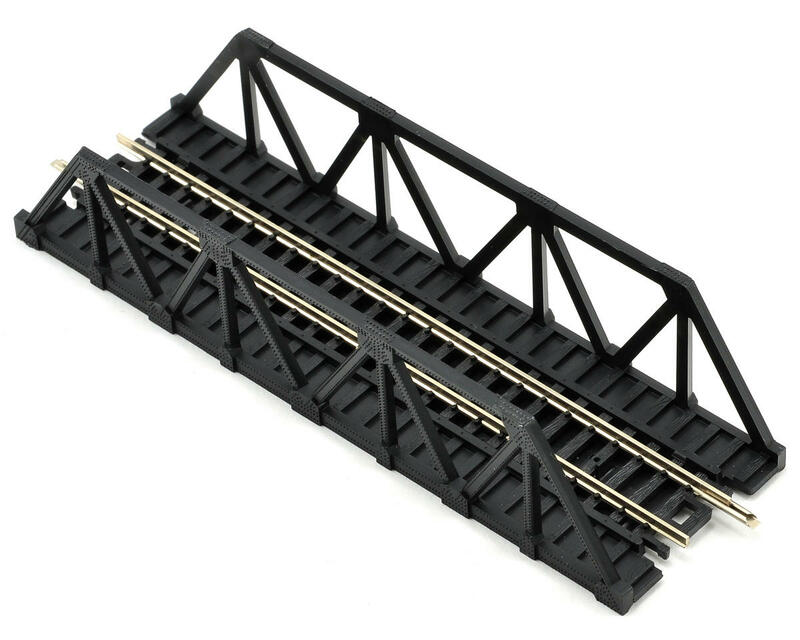 Combine the Warren Truss Bridge with the Atlas Bridge Piers (ATL2543), for an impressive and realistic looking multi-span structure. Atlas Snap-Track can be snapped together for quick assembly and easy layout modification. Footprint: 5" x 1-1/2" x 1-1/8"